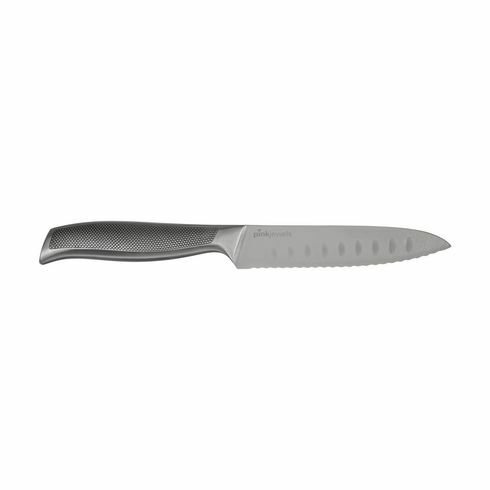 Tomato knife from the Diamant Sabatier Riyouri series. With 13 cm spike blade. Widely deployable by the antique cavities the double microcartel. Also suitable for cutting cheese, and for example, baquettes.Made of high quality stainless steel. The robust staple has a special anti-slip structure. The blade is slim-sharp and seamlessly attaches to the lift, ensuring hygiene. Each piece in a box.